Back in the land of cold wind and icy pavement, this morning I was thinking about the taste of summer. 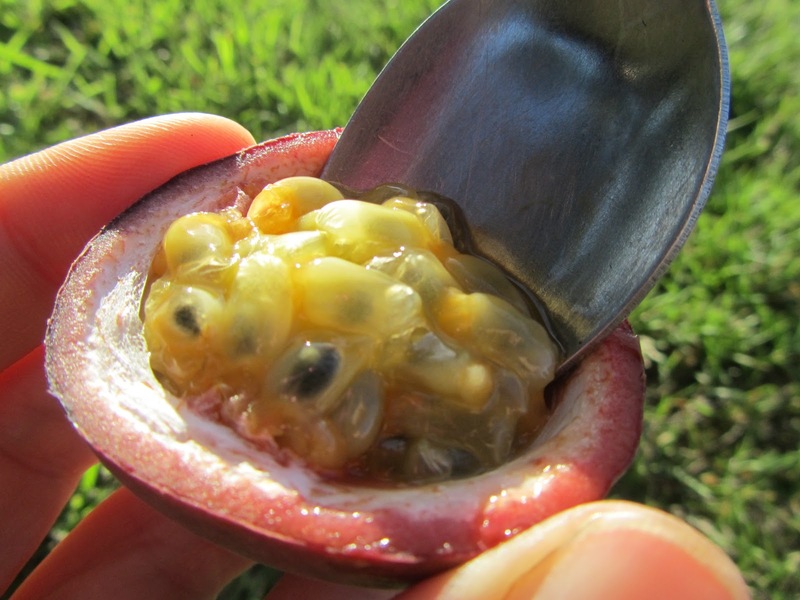 That is to say, passionfruit–split, scooped, and slurped in the early morning sun, while sprawled in a patch of velvety green grass. The empty, hollowed-out weight of the crimson fruit in your hand… the porous rind giving way to the thin flash of pocketknife blade, the precise tilt of the two halves so not a single seed slips out. The art of the meal. Still, I challenge you to not think of frog eggs as you scoop into the spongy cup. Because let’s face it, in the world of fruit, these guys are a bunch of weirdos. Delicious weirdos, but still.